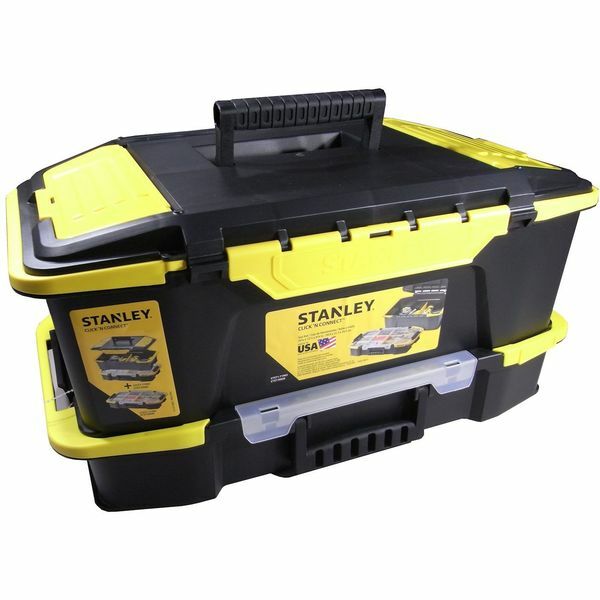 The Stanley 19-inch Series 2000 Tool Box with Tray opens to reveal a deep tray where you can organize small items. The tray lifts out with ease to reveal the storage compartments. 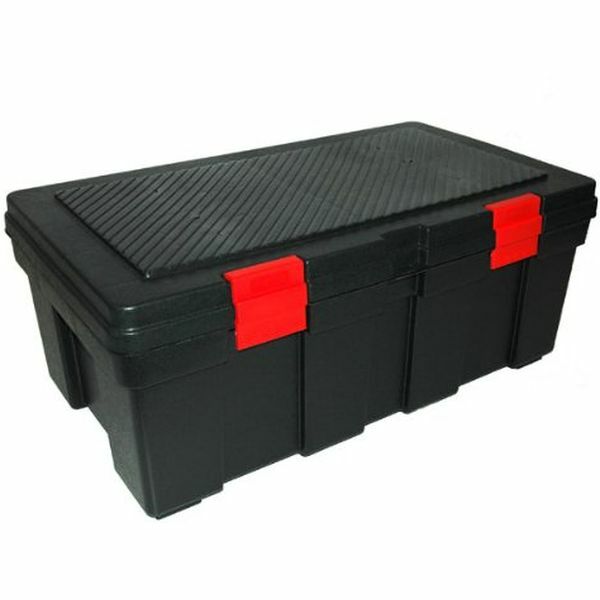 Made in the USA, the tool box measures 19 inches in length by 10 inches in width by 10 inches in height. 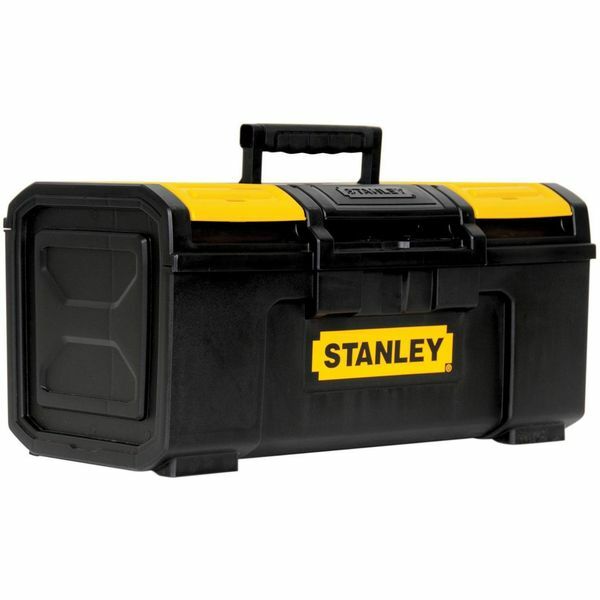 With the Stanley 19-Inch Toolbox, you can get access to your tools when just one hand is free, thanks to its unique latch operation. The toolbox is 19 inches by 10.2 inches by 9 inches in size and has storage areas for small parts right on the lid for added convenience. 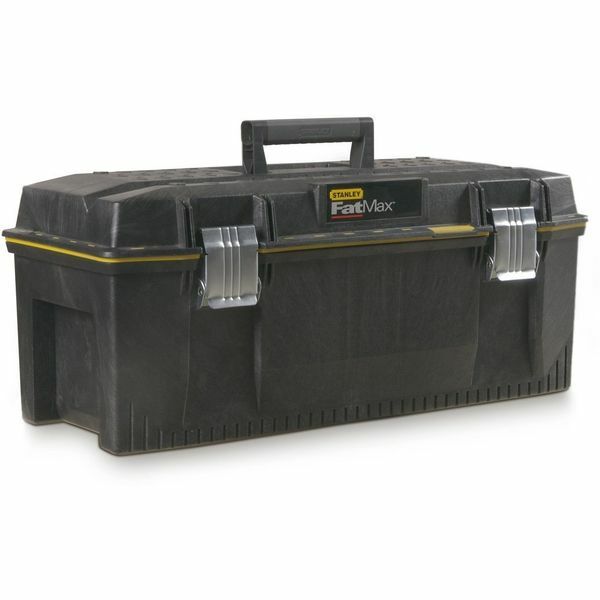 Even the largest of tools will fit into the Stanley 28-Inch Structural Foam Toolbox with the utmost of ease. Waterproof to keep your tools safe from the elements even in the worst of weather, this easy-to-carry tool box measures 28 inches by 12.6 inches by 11.6 inches in size and weighs less than 10 pounds. 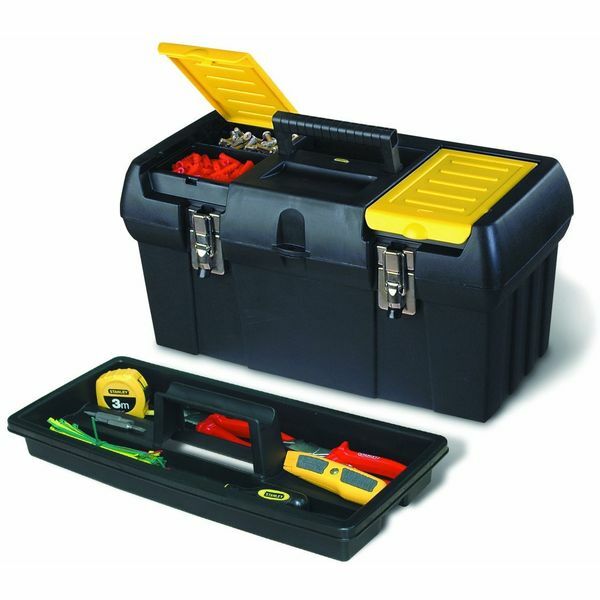 Keep hand tools and power tools conveniently stored in one tool box by making the Stanley Click and Connect Deep Tool Box and Organizer your choice for tool storage. At 19.2 inches by 12.1 inches by 6.4 inches in size, the toolbox is generously proportioned and comes with removable dividers to customize the inside. When you’re in need of an ultra tough take-along for storing heavy gear, the GSC Storage Locker, Black with Red Latches will have you covered. With its 117-Liter capacity the storage locker can hold virtually anything. Watertight construction allows the locker to serve as the perfect tool box for any truck bed. 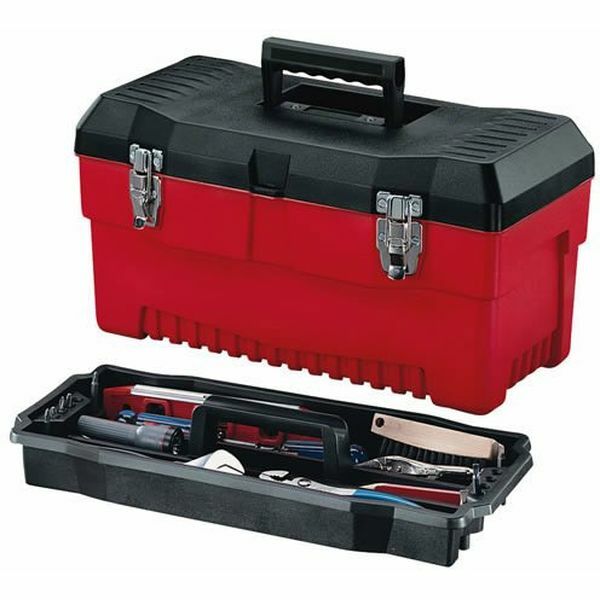 Made to suit the needs of professionals, the Stack-On 19-Inch Pro Tool Box, Black / Red is built to last a lifetime and features ultra durable materials like galvanized steel hinge pins and nickel-plated steel draw bolts. The tool box is 19 inches by 9.5 inches by 9.5 inches in size and includes a removable storage tray.